Infographics designed for a report produced internally by the Department. 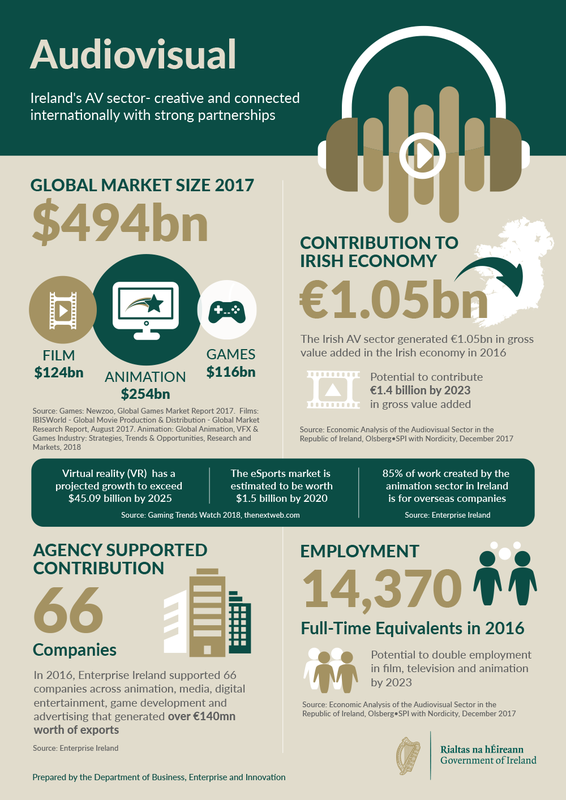 A total of 16 infographics were designed for different business sectors in Ireland. A consistent style was developed, within the government brand guidelines, and applied across all 16. The final infographics were used within the report and also circulated individually.